Project Angel Food celebrates its 25th Angel Awards Gala on Sat., August 22 at 6 p.m. at Taglyan Complex. The event will honor Entertainment Industry Foundation and Project Angel Food’s founder Marianne Williamson and founding team David Kessler, Ed Rada, Howard Rosenman and Freddie Weber for their many contributions to fulfilling the organization’s mission. Project Angel Food, which cooks and serves nutritious meals to Los Angeles residents battling critical illnesses, was founded by Marianne Williamson 25 years ago when the AIDS and HIV crisis emerged. Marianne and the founding team saw an urgent need to prepare and deliver nutritious meals for seriously ill individuals who were unable to shop and cook for themselves. “It’s wonderful to participate in Project Angel Food’s 25th Anniversary celebration – to both remember what was, and help them usher in a new chapter in the life of the organization,” says Marianne Williamson, Founder of Project Angel Food. Over the years, Project Angel Food has expanded its program to cook medically tailored meals for men and women who suffer from critical illnesses such as cancer, renal failure, congestive heart failure and diabetes. In 2010, the organization initiated its Urban Gardens program by turning donated land into community gardens to grow and harvest organic produce for inclusion in its meal preparation. As of today, Project Angel Food has served nine million meals and prepares 1,200 meals a day. Honoree recipient, the Entertainment Industry Foundation (EIF), is a charitable organization that harnesses the collective power of the entertainment industry to raise awareness and funds for critical health, educational and social issues. The Entertainment Industry Foundation has been proud to help Project Angel Food accomplish their goals and mission. 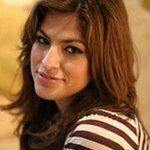 Actress and model, Eva Mendes will accept the angel award on behalf of EIF. Project Angel Food has benefitted from the continued support by members of Hollywood and the entertainment and fashion industries over the years. 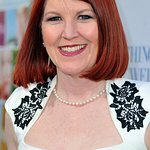 Longtime supporter and actress Frances Fisher and Grammy Award-winning singer/songwriter Alanis Morissette will present at the gala with a special performance by comedienne and actress from the hit TV show Glee, Jane Lynch. “The role that nonprofits play in our community is so important. Businesses must recognize this and demonstrate their support for organizations and their mission to better our local neighborhoods,” said longtime supporter Paul Marciano, co-founder of Guess? Inc. The Angel Awards Gala is the organization’s top fundraiser that enables them to feed and nourish the sick battling critical illnesses and in need of nutrition to survive. To learn more about the Awards Gala, to volunteer or to donate, please visit www.angelfood.org/angelawards2015.